Ron Howard expressed frustration upon his return to Fayetteville for 1990, according to The Fayetteville Observer, but he also hoped to show he'd returned fully from injury. "I'm a little disappointed to be back, but I expected it because of my situation last year with the broken hand," Howard told The Observer early that April. "I only played about half the season. I had a good spring, but was sent down from the Lakeland team three days ago." Howard eventually did make it up to high-A Lakeland, but not until the next year. He also never made AA. Howard's career began in 1988, taken by the Tigers in the 18th round of the draft out of Palomar College in California. At Palomar, Howard had 62 hits in 1988, still good for seventh all-time, as well as 49 career stolen bases, first all-time at the school. Howard started with the Tigers at rookie Bristol. He hit .235 over 62 games there, with 22 RBI and 13 stolen bases. 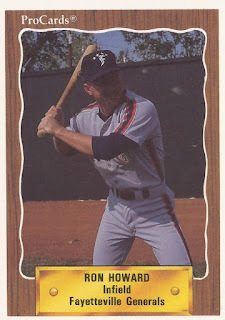 He moved to single-A Fayetteville for 1989 for his injury-shortened season. He hit .212 there over 87 games. He then returned for 1990. He went 2 for 4 in an April game. Over the full season, though, he hit just .210, with 19 stolen bases. Howard made Lakeland for 1991. He went 3 for 4, with four RBI in a June win. He hit two home runs in a July game - he hit two others on the year. 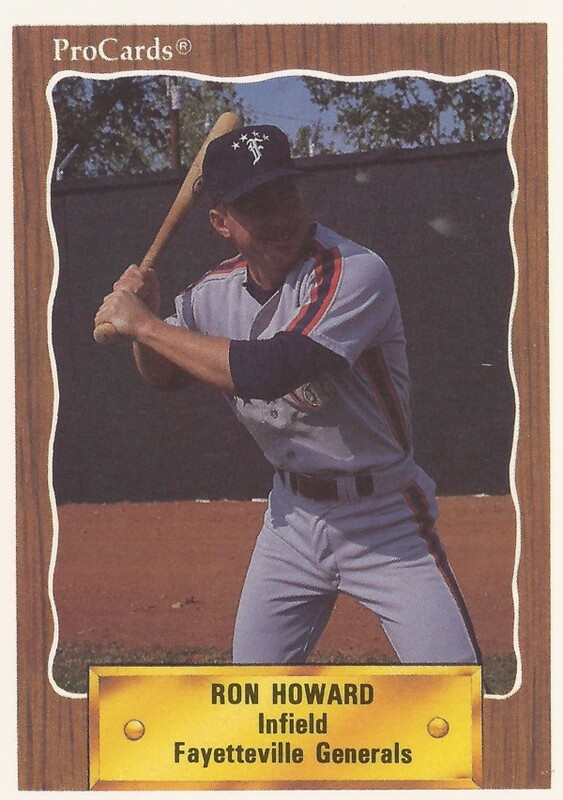 Howard hit .243 for Lakeland in 1991, then .241 in another full season there in 1992. His 1992 campaign marked the end of his five-season career.